I might, at some point, start categorizing my posts. « How to make a friend in Uganda. My journey is at an end, the tale has been told. far has a right to ask what message I bring back. financial driving wheel of this part of the world. My counsel plainly is  concentrate upon Uganda! Nowhere else in Africa will little money go so far. substantial or more rapidly realised. on earth? It is the Pearl of Africa. After year’s of direct sun and little maintenance, this deck on the southern side of my parent’s house needed attention. I planned to simply remove and replace the deck’s damaged railings and deck boards. However, while deconstructing the deck, I found that the posts were resting on grade; covered with only inches of dirt. I quickly decided to remove the entire deck and start from scratch. Day 1 of the rebuild started with delivery of materials from Deering Lumber. It took me most of the day — with help from my 5-year-old nephew — to set 7 posts and install the rim board. Note that the new deck is freestanding and about eight inches closer to grade than the previous one. I forgot to order bolts to attach the framing to the posts, so I used deck screws as a temporary fix. I’ll grab the needed bolts tomorrow and finish framing the new deck. On the second day of the rebuild, I secured the framing to the posts with lag screws, set hangers, and installed joists. I wasn’t as productive as I had hoped to be. Yet, I still hope to finish out the project on day 3. After weeks of delays, I finally completed this little deck. Once I rip the last board and snugly attach it adjacent to the house, I’ll finally be able to attach the last step. Tommy, my neighbor, is in jail because he slept in an ATM lobby, where he was simply seeking shelter from a storm. I’m angry. How can this be just? Tommy is a fixture on the street. He’s the guy who knows everyone and is always willing to talk as long as you want. I’ve occasionally taken a breather to chat on the way home from the market. Tommy was actually the first person I met when I moved to Central Square in Cambridge, Massachusetts. He has taught me to live more openly, honestly, and generously; he opened a door for me to experience life in a new way. I’ve known Tommy now for less than a year but see him just about every other day. It’ll be fourteen months before I see Tommy again. I pray that as bad as jail may be that he also finds a new path and the help he needs to experience life in a new way. 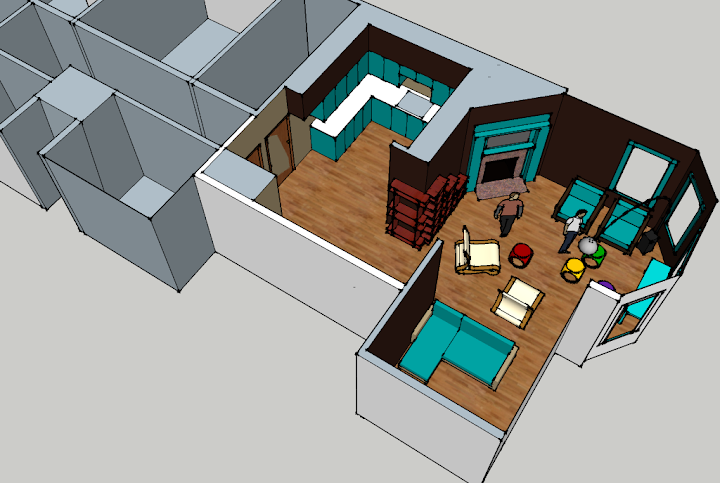 Today, annoyed at how the space I live in disfunctions, I began to re-envision my apartment. 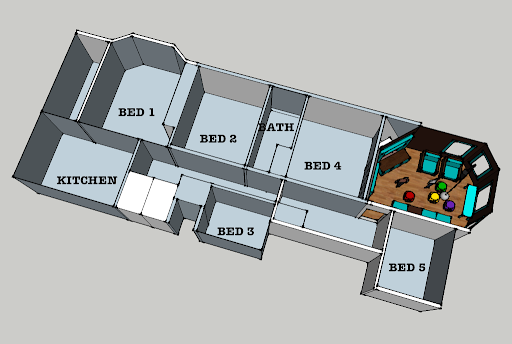 The problem with the layout (pictured below) is that the bedrooms are scattered and the public areas do not relate to each other. 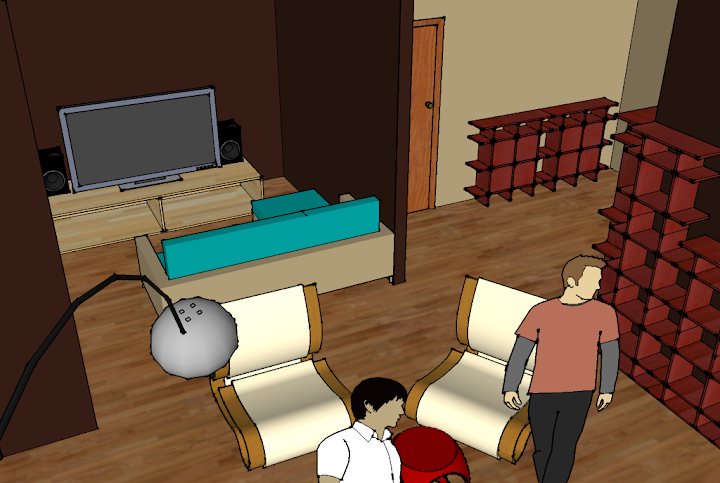 At parties, the long hallway gets clogged, and, in the morning, I wake up to people rustling in the pantry. My roommates complain that the TV is too loud. 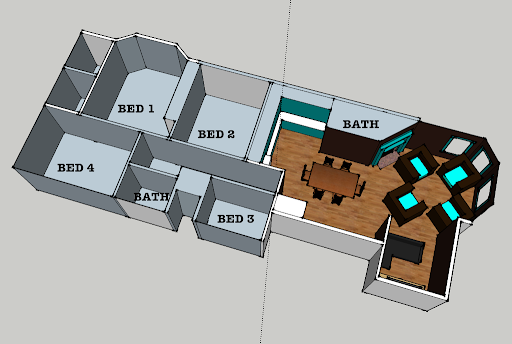 My solution is to convert the kitchen to a large bedroom, move the bath to a space underutilized by two hall closets, and use the freed space as a public area at the front of the apartment. A door in the hall already divides the two spaces. 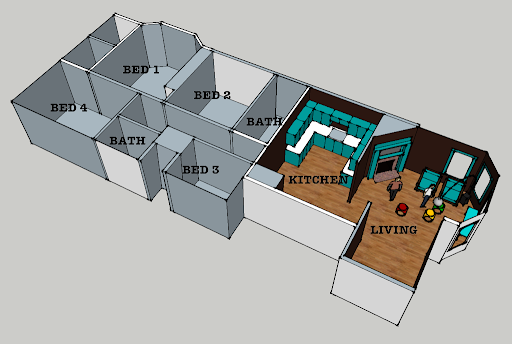 After a little more thought, I realized the simplest execution would be to leave the original bathroom in place and simply switch the kitchen and front bedroom (BED 4). 😉 The old closet door will lead directly into the original bathroom, providing public access. Jerome Wincek has been quietly producing some of the most interesting rock-influenced folk music for a decade out of his living room in Oil City, Pennsylvania. As luck would have it, we don’t need to live close by to be part of his creative process. Jerome routinely uploads new material to his myspace page. Then, after it has had time to ferment on the interwebs, he distills the best into collections, which are generally available to download or pick up at his local shows. The EP ‘The Revelator Part1’, which released earlier this week, stands apart from material that he has issued in the past. It tells the story of those that God has abandoned and how they live without him in the aftermath. It is now available as a free download at jeromewincek.bandcamp.com. If you’ve never heard Jerome’s music before, the industrial clang of synths backing some of the folk melodies might be jarring at first. The soundscape is epic and the lyrics are at time apocalyptic and near, like Jerome is not only talking about some distant future but the present troubles in my own mind. This is not campfire music but somehow, as I listen to the final track, I close my eyes and am transported to a shack out in the woods, where a lone mandolin player serenades, holding off the impending evil as it tries to crash in.